11/10/12 -- Soycomplex: Nov 12 Soybeans closed at USD15.48 1/2, up 25 1/4 cents; Jan 13 Soybeans closed at USD15.48 1/2, up 24 3/4 cents; Oct 12 Soybean Meal closed at USD482.70, up USD12.60; Oct 12 Soybean Oil closed at 50.88, up 71 points. Funds were estimated to have bought 15,000 bean contracts on the day. There was something for both the bulls and the bears in the USDA numbers. US plantings were increased and so too were yields, from 35.3 bpa last month to 37.8 bpa this time round, some 0.8 bpa above the average trade guess. That took production up to 2.86 billion bushels versus 2.634 billion last month and the average estimate of 2.77 billion. Despite that, a sharp increase in exports - from 28.7 MMT to 34.4 MMT - saw ending stocks come in lower than anticipated at 130 million bushels, or 3.5 MMT. China's import requirement was increased from 59.5 MMT to 61.0 MMT. No changes in output were forecast for Brazil, Argentina or any of the other more minor South American producers. World ending stocks were increased more than expected to 57.6 MMT. China only sold 225 TMT of the 400 TMT of soybeans put up for auction today. Estimates for tomorrow's weekly export sales report for beans are a healthy 700-900 TMT, last week's sales were a huge 1.3 MMT you may recall. The USDA's revised export figure means that existing commitments as of last week meet 68% of the new target just four weeks into the season. Corn: Dec 12 Corn closed at USD7.73 1/4, up 36 1/2 cents; Mar 13 Corn closed at USD7.73 1/4, up 35 1/2 cents. Funds were given credit for being net buyers of around 25,000 corn contracts on the day. The USDA placed corn yields at 122 bpa, 0.7 bpa below the average trade estimate. Despite that, an increase in planted area helped keep production virtually unchanged from last month at 10.7 billion bushels, 108 million above the average trade guess. World production was lowered 2 MMT, most of that coming from another downgrade for Europe. The bullish surprise came from US ending stocks cut 114 million bushels from last month to 619 million, 26 million below the average trade estimate, giving the tightest stocks to usage ratio in almost 40 years. World ending stocks came in at the lower end of trade estimates at 117.3 MMT - of which 60 MMT is said to be in China. Tomorrow's weekly export sales report will be interesting, with the trade expecting corn sales of 300-425 TMT. Last week's fairly modest sales of 326,900 MT were in fact the highest in 20 weeks. Wheat: Dec 12 CBOT Wheat closed at USD8.86, up 16 1/4 cents; Dec 12 KCBT Wheat closed at USD9.18, up 20 1/2 cents; Dec 12 MGEX Wheat closed at USD9.46 3/4, up 13 cents. Fund buying in CBOT wheat was estimated at around 5,000 contracts on the day. The USDA lowered the world wheat crop 5.7 MMT from last month to 653 MMT, more than 6% down on last year. US exports were dropped 1 MMT to 31.5 MMT. Despite a drop of 1 MMT in production from last month, Russia's export potential was raised 1 MMT to 9 MMT. India's new found emergence as a global wheat exporter saw it's foreign sales projected 1 MMT higher than last month at 6 MMT, making it the world's eight largest wheat seller in 2012/13. Support for wheat futures came from the tight domestic corn situation in the US, fostering ideas that wheat feeding may end up much more prevalent than normal this year. The Buenos Aires Cereals Exchange estimated Argentina’s wheat crop at 10.12 MMT versus 13.2 MMT in 2011/12. The USDA has them down to produce 11.5 MMT this year. As well as cuts for Australian and Canadian wheat, barley output in both countries was also downgraded. Trade estimates for tomorrow's weekly export sales report are 300-500 TMT. 11/10/12 -- EU grains were higher following a bullish USDA report with Nov 12 London wheat up GBP2.50/tonne to GBP202.00/tonne and with Nov 12 Paris wheat EUR2.25/tonne higher at EUR263.50/tonne. The USDA cut 5.7 MMT off world what production in 2012/13 to 653 MMT, 6% or 42.7 MMT lower than last season. Included in that was a 1 MMT cut for Russia to 38 MMT, now almost a third down on 56.2 MMT last year, and a 3 MMT reduction for Australia taking its crop to 23 MMT, 22% down on a year ago. They also sliced 3.7 MMT off world ending stocks, reducing those to 173 MMT, a 25 MMT reduction on last season. The USDA cut their UK wheat crop estimate to 14 MMT. Offre & Demande Agricole pegged it at 13.6 MMT, in line with Coceral's recent estimate, but above yesterday's offering from the NFU. They placed average yields a little better than the latter at 6.8 MT/ha, which ties in the the HGCA's "lower end of" 6.8-7.2 MT/ha estimate. 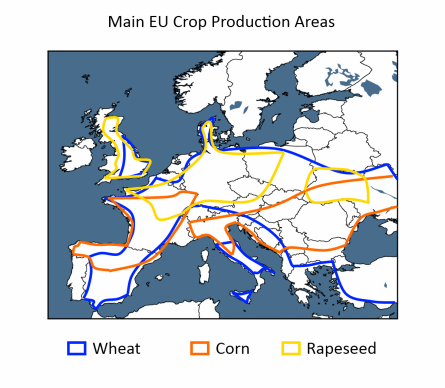 They also opined that the UK will import more wheat than it exports this season. Few would argue with that, it's just a case of now trying to work out how much of our 13-14 MMT of low bushel weight wheat will get blended in with higher grade foreign wheat and exported. It is also unknown how large imports will be this year. ODA estimate the latter at 1.5 MMT (against around 0.9-1.0 MMT in a normal year), and exports at 1 MMT (versus 2.5 MMT typically in recent years). Many think that imports could be closer to the 2.0-2.5 MT region, especially if and when Vivergo fire up around Christmas time. Only time will tell. In other news the Ukraine government said that they were increasing the volume of wheat they would allow to be exported this season from 4 MMT to 5 MMT, of which 3 MMT has already been shipped. MDA CropCast cut their Australian wheat production estimate by 160 TMT to 20.77 MMT, down 29% versus a record 29.2 MMT in 2011/12, citing persistent dryness, particularly in Western Australia. They also reduced their barley output forecast by 0.8 MMT to 6.8 MMT, down 19% on 8.4 MMT in 2011/12. 10/10/12 -- Soycomplex: Nov 12 Soybeans closed at USD15.23 1/4, down 26 3/4 cents; Jan 13 Soybeans closed at USD15.23 3/4, down 25 1/2 cents; Oct 12 Soybean Meal closed at USD470.10, down USD8.00; Oct 12 Soybean Oil closed at 50.17, down 65 points. Fund selling on beans was estimated at 9,000 contracts on the day, driving the market lower ahead of tomorrow's USDA report, as they cut back on their long position. For beans, the report is expected to be bearish with US soybean yields increasing to 37.0 bpa, from within a range of estimates of 35.5-38.5 bpa and versus the September USDA estimate of 35.3 bpa. US production is expected higher at 2.770 billion bushels from within a range of 2.600 and 2.903 billion and versus 2.634 billion last month. US 2012/13 ending stocks are also called higher than last month's 115 million bushels at 134 million. World ending stocks are seen at 53.3 MMT versus 53.1 MMT in September. In other news the USDA reported the sale of 120,000 MT of soybeans to China for the 12/13 marketing year. Corn: Dec 12 Corn closed at USD7.36 3/4, down 5 1/4 cents; Mar 13 Corn closed at USD7.37 3/4, down 4 1/2 cents. Funds were said to have been net sellers of 6,000 corn contracts on the day, again cutting their length ahead of the USDA report, despite expecting it to be bullish for corn. The report is expected to show little change on US corn yields from last month, with the average trade estimate coming in at 122.7 bpa, from within a fairly wide range of estimates of 119.9–127.0 bpa. The September USDA estimate was 122.8 bpa. Corn production however is expected lower by virtue of an anticipated reduction in harvested area. The average trade estimate is 10.598 billion bushels, from within a range of estimates of 9.954–11.194 billion and versus the September USDA estimate of 10.727 billion. A Reuters survey sees US 2012/13 corn ending stocks falling to a 17 year low of 648 million bushels. World carryout is also seen falling, to 121.322 MMT. The wide disparity between the low end of US yield and production estimates and the top end appears to set corn up to potentially react with most volatility tomorrow. Wheat: Dec 12 CBOT Wheat closed at USD8.69 3/4, up 5 1/2 cents; Dec 12 KCBT Wheat closed at USD8.97 1/2, up 8 3/4 cents; Dec 12 MGEX Wheat closed at USD9.33 3/4, up 5 3/4 cents. Funds were seen ending the day as modest buyers in Chicago wheat, taking a net 2,000 contracts on the day. For wheat, tomorrows report is expected to be supportive with US 2012/13 ending stocks seen at 627 million bushels, from within a range of estimates of 550-714 million and 71 million below the September USDA estimate of 698 million. World wheat carryout is also seen falling to 172.813 MMT, from within a range of estimates of 167.4-177.3 MMT and versus the September USDA estimate of 176.71 MMT. Australia's crop will surely be reduced from last month's 26 MMT. US winter wheat is in need of moisture ahead of winter dormancy in many areas, with emergence running significantly behind schedule at 23%. In the week ahead "significant dryness will continue in the west central Plains, namely NE, northern KS, and northern CO," according to MDA CropCast. Russian activity in the world wheat export market seems to have tailed off sharply, although US wheat is still to expensive into many homes versus EU and Argentine origins. 10/10/12 -- EU grains were mixed with Nov 12 London wheat down GBP2.25/tonne to GBP199.50/tonne and with Nov 12 Paris wheat unchanged at EUR261.25/tonne. 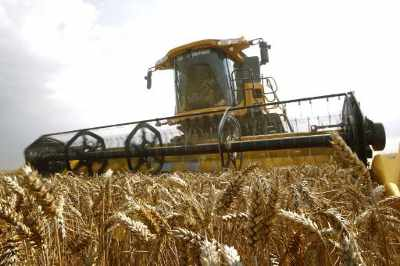 The NFU pegged the UK wheat crop at just 13.25 MMT, the lowest since 2007 when plantings were 10% lower at 1.8 million hectares, giving a crop 13% down on last year. Yields were forecast at less than 6.7 MT/ha, the worst since 1988. UK barley and rapeseed production was forecast more or less unchanged from last year at 5.44 MMT and 2.76 MMT respectively. In the case of OSR, yields were forecast up 5.9% on the five year average at 3.6 MT/ha, and slightly better than the HGCA's 3.5 MT/ha estimate. FranceAgriMer tweaked their domestic supply and demand numbers, placing the French soft wheat crop at 36 MMT, up 1 MMT on last year. Exports were revised slightly higher from last month, and almost 1.5 MMT up on a year ago to 17.5 MMT. That takes 2012/13 ending stocks down from 2.28 MMT last season to 1.78 MMT this time round. The French are clearly expecting a strong sales performance in the final three quarters of 2012/13, with Russia out of the way. Wheat exports in the first two months of the current marketing year are down 21% at 2.22 MMT. Russia's Putin was said to be meeting with officials to discuss the situation on the national and international grain market again today. French corn production was pegged 1 MMT down on last season at 15 MMT, with barley output up more than 30% to 11.5 MMT. Ukraine's Ministry said that winter grains planting there is 81% complete, including wheat at 87% done. Australia reported that it had exported 2.2 MMT of wheat in August (+59% year-on-year), taking the 2011/12 (Oct/Sep) marketing year total to a record 21.7 MMT with one month left to spare. 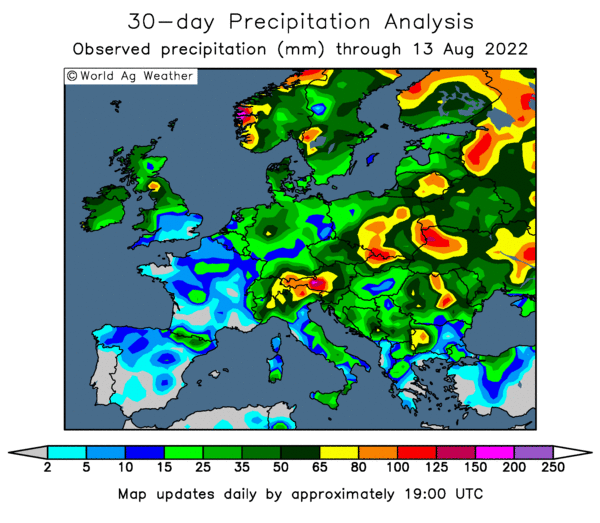 "Rains recently returned to western and northern Morocco, eastern Algeria, and Tunisia, which improved moisture supplies a bit. However, notable dryness continues in central and western Algeria. Wheat planting will begin in a few weeks, and rains need to return to the drier areas to improve moisture and prevent planting delays," said MDA CropCast. Concerns are already developing for US winter wheat prospects with planting barely past the halfway point. "Rains in the south central Plains will improve moisture there for wheat as well, but significant dryness will continue in the west central Plains, namely NE, northern KS, and northern CO," MDA CropCast added. The Climate Prediction Centre has changed its outlook on El Nino, now calling for ENSO-neutral conditions for the next several months. 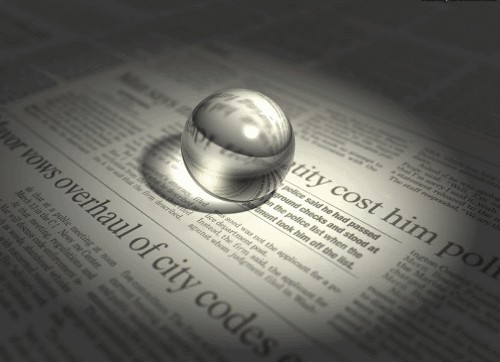 Experts do not anticipate the development of a new La Nina. If the El Nino resumed, it would be a mild one. That was the message of the Australia bi-monthly report issued yesterday. 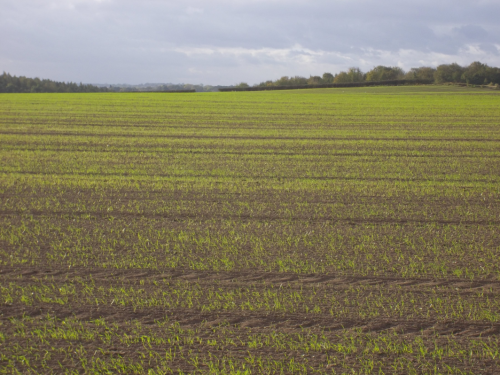 10/10/11 -- The NFU estimate the UK wheat crop at just 13.25 MMT this year, the lowest output since 2007 (when the planted area was 10% less at 1.8 million hectares). Yields of 6.7 MT/ha would be the lowest since 1988. One of the great things about keeping a blog like this is that I can sift back through previous year's records and remind myself of what happened last year (and indeed before that). 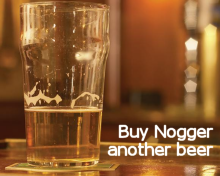 You know what it's like, things stick in your mind, but after 12 months and Christ knows how much beer (generously donated by you dear reader) your memory can sometimes be a little bit fuzzy. Anyway, a quick check back reveals that this time last year the NFU estimated the UK wheat crop at 14.7 MMT. A crop that is now generally accepted to have actually been around 15.26 MMT. Helpfully, I did some further looking back into the past at the time, and discovered that the NFU had a bit of a history of under-estimating the UK wheat crop by around half a million tonnes versus the official account of events, having done so in both 2010 and 2009 (I was clearly less diligent in 2008 and didn't made a note of their number back then). 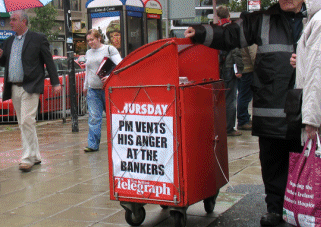 It would appear then from what we know now they did exactly the same in 2011 also. Of course you could say that the NFU are in fact the kiddies with their finger on the UK wheat button. You maybe wouldn't get too much opposition to the suggestion that in a darkened room full of arses and elbows, DEFRA would be the ones stumbling around in a state of total confusion. Either way, the NFU seem to be offering us a reliable guide to what the official UK wheat production estimate will finally prove to be this year, and 13.75 MMT is the magic number. 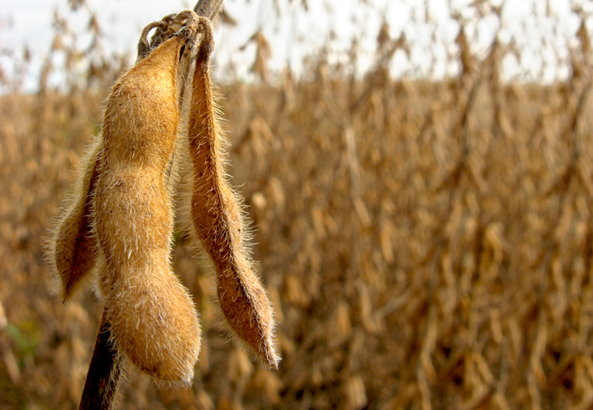 09/10/12 -- Soycomplex: Nov 12 Soybeans closed at USD15.50, down 1 cent; Jan 13 Soybeans closed at USD15.49 1/4, up 1 1/4 cents; Oct 12 Soybean Meal finished at USD478.10, down USD0.40; Oct 12 Soybean Oil closed at 50.82, up 34 points. The US dollar was sharply higher on a gloomy outlook for the world economy. The IMF lowered its 2012 global growth forecast to 3.3% from a previous forecast of 3.5%. They also cut their outlook for 2013 to 3.6% versus a previous forecast of 3.9%. The news came amidst reports that the Chinese Central Bank was to pump USD42 billion into China’s banking system to boost its economy - the second such recent move. Some would say it is bullish that they are willing to do so, some would say it's bearish that they are having to do so. CONAB estimated Brazilian soybean plantings around 6-9% higher this year, combined with hopes for a return to normal yields they pegged the 2012/13 crop at a record 80.1-82.8 MMT versus the USDA estimate of 81.0 MMT and an increase of 21-25% on 66.4 MMT in 2011/12. Celeres said that Mato Grosso (the largest soybean producing state in Brazil) soyean planting is 5% complete, and that in Parana (the 2nd largest soybean state) it is 8% done. Both are broadly in line with normal for this time. The USDA put this year's US soybean harvest at 58% complete, at the low end of trade estimates although up sharply on 41% done a week ago and 40% normally. Now we all wait on Thursday's important USDA data. Corn: Dec 12 Corn closed unchanged at USD7.42; Mar 13 Corn closed at USD7.42 1/4, up 1/4 cent. As you can see it was a bit of a non event for corn too today, as the trade sits on it's hands ahead of Thursday's supply and demand numbers. The trade feels that these could have a bullish slant for corn, with lower US production and 2012/13 ending stocks than last month. It is noted that the difference between the lowest US production estimate and the largest is a hefty 32.5 MMT, so there would appear to be plenty of scope for the market to go either way on Thursday. As Agrimoney.com reported yesterday, it is highly unusual for the trade to have such a diverse opinion on final production when harvesting is so advanced. The USDA reported the latter to be 69% complete after the close, compared to only 28% normally at this time. CONAB estimated Brazil’s 2012/13 corn crop at 71.9-73.2 MMT, higher than the USDA's estimate of 70.0 MMT and broadly in line with the record production of 2011/12. Despite the draw of soybeans, corn also offers South American farmers lucrative potential returns. Plantings in Argentina were forecast broadly unchanged by the Ministry there yesterday, early indications had been for an acreage reduction of up to 20%. Both will be keen exporters again in 2013 as soon as harvesting begins in February. In China "rains remain very limited cross most corn and soybean areas, which is allowing harvesting to progress very well," say MDA CropCast. Wheat: Dec 12 CBOT Wheat closed at USD8.64 1/4, up 3 1/4 cents; Dec 12 KCBT Wheat finished at USD8.88 3/4, up 6 cents; Dec 12 MGEX Wheat closed at USD9.28, up 3 1/2 cents. Various official Russian estimates place the grain crop there at 70-75 MMT, of which wheat is expected to account for 38-40 MMT. The government there have said that they will auction off around 1 MMT of state-owned grain intervention stocks between the end of the month and the end of the year - around 20% of their total holding, and twice the original volume stated. The FAO estimate Russia’s 2012/13 grain ending stocks at 6.9 MMT versus 12.4 MMT a year previously. In Ukraine grain harvesting is 85% complete, with production so far standing at 36.3 MMT. The Ministry estimate a final crop of 46.0-46.5 MMT versus 56.7 MMT in 2011. That looks optimistic. UkrAgroConsult today lowered their forecast to 42.4 MMT from a previous estimate of 43.4 MMT. India said that it has exported 2.5 MMT of wheat since they lifted export ban in September, and that they have agreed to release another 5 MMT onto the market for both domestic consumption and export. 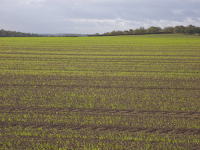 The USDA said that 57% of the winter wheat crop there has now been planted, slightly below the normal pace. Emergence is a concern at 23% versus the five year average of 30%. "Snow increased across western NE, northwestern KS, and northeastern CO this past weekend, which will improve soil moisture slightly once it melts over the next few days," said MDA CropCast. 09/10/12 -- EU wheat closed mixed but mostly higher on the day with Nov 12 London wheat up GBP0.10/tonne to GBP201.75/tonne and Nov 12 Paris wheat EUR1.50/tonne firmer at EUR261.25/tonne. The trade is in a state of limbo ahead of Thursday's USDA report. Lower 2012/13 world corn and wheat ending stocks are what the trade is anticipating. We will have to wait another couple of days to see if that is what we get. It seems that Black Sea production and export prospects are getting fine tuned, and that foreign sales will be heavily stacked in favour of the front end. This isn't especially a surprise for anybody, but it is interesting to get some numbers put on these things. Ukraine says that it has exported 6 MMT of grains so far in 2012/13, up 60% on year ago levels. That includes 3 MMT of wheat, 1.54 MMT of corn and 1.33 MMT of barley. The 2012 harvest currently stands at 36.3 MMT, off 85% of the planned area. 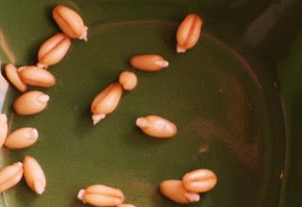 The Ministry say that they will have a final grain crop of 46.0-46.5 MMT versus 56.7 MMT in 2011. IKAR have placed the Russian wheat crop this year at 37.5-38.5 MMT, towards the lower end of other trade forecasts. Russia’s Ag Minister estimated Russia’s 2012 grain crop at 71.0 MMT versus the Ag Ministry estimate of 72-73 MMT and the Economic Ministry estimate of 73-75 MMT. The Russian government have confirmed that the will begin selling off 110TMT/week of their intervention grain stocks on the domestic market in an effort to contain rising domestic prices. Kazakhstan said that the grain harvest there now amounts to 14.3 MMT in bunker weight off 98.9% of planned area. Yields are just 0.94 MT/ha, down 43% from last year's 1.66 MT/ha. The Indian government have confirmed yesterday's rumours that they are to release a further 5 MMT of domestic state-owned wheat stocks onto the market, for both local use and export. A significant proportion of that may be headed for Iraq, so trade rumours suggest. 09/10/12 -- The overnight electronic market is modestly higher in Turnaround Tuesday style with beans up 5-8 cents, corn up 1-2 cents and wheat 3-5 cents firmer. India confirms it will release an additional 5 MMT of surplus wheat stocks onto the market for both domestic consumption and export. Trade gossip is that 2-3 MMT of that might find it's way to friend-seeking Iraq in exchange for gold and/or crude oil or even fertilisers or a combination of all three. Russia has confirmed that it will begin selling off 110 TMT of grains a week to local millers and feed companies in the Urals, Siberia and the far east of the country by the end of the month at 10-15% below current market prices. The Russian Ag Minister say this year's grain crop will come in at 71 MMT. Ukraine has harvested 85% of the planned area, producing a grain crop of 36.3 MMT so far, according to the Ministry there. Yields are averaging 2.86 MT/ha, now down "only" 10.6% on last year, as the ongoing corn harvest brings in better results. Celeres peg the Brazilian 2012/13 soybean crop at 79.1 MMT, a 19% increase on 2011/12. CONAB are due out with their first estimate of the season later today. The USDA attache in Brazil went 82 MMT last week off a record 27.5 million hectares. Gross profit margins of over 100% for the 2012/13 crop are expected to encourage bumper plantings of both this year, the latter noted. "Temperatures continue very hot in Mato Grosso, Brazil. Highs reached 100 F on Saturday for the 4th time in the week. Soybean producers are still waiting for the monsoon to begin in earnest, so they may begin planting soybeans. 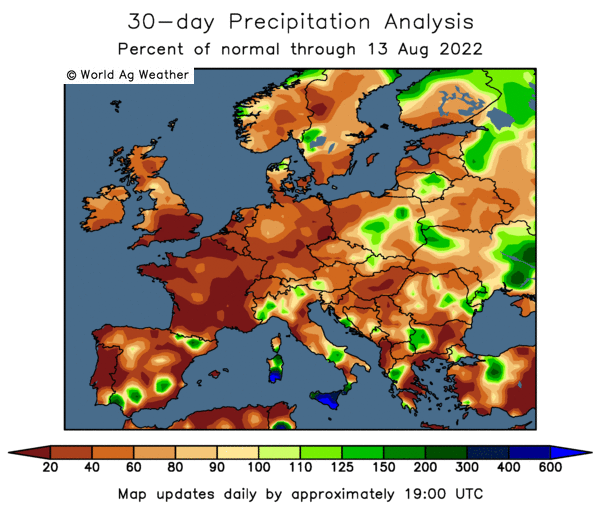 Sometimes the rainy season does not get started until late October in Mato Grosso, so the current conditions are not unusual," say Martell Crop Projections. As mentioned earlier, the trade is waiting for this week's USDA numbers, which inconveniently come out on the day of the Hull Corn Trade Dinner, Thursday 11th. The trade seems to be expecting an improvement in soybean yields, production and ending stocks. In contrast corn yields are seen holding steady, to declining slightly, with a lower harvested area meaning a fall in both production and carryout. Wheat is seen getting a boost from reduced corn availability meaning lower ending stocks as usage increases. The signs for the later scenario aren't manifesting themselves just yet, but it's early days of course, and we all expect Russia, Ukraine and the Black Sea region in general to be much more subdued in the second half of the season. How winter crop development pans out in these regions will be closely watched over the coming months, as it will too of course across the rest of the northern hemisphere. Early indications are that in general things could be considered better than last year, although things are rarely ideal of course. We may get a clue to how Thursday's report is going to stack up in the overnight trade an hour or so before the official publication. Not that I am one for casting nasturtiums* of course, but it has come to my notice in recent months that the overnight trade can suddenly swing one way or the other half an hour before the official publication time. Frequently the sudden change of direction is subsequently proven to be fortuitous, for those on the right side of it. *Deliberate, and a doffed cap to Dave "Damp Squid" Thompson, formerly of Berk Commodities fame. 08/10/12 -- Soycomplex: Nov 12 Soybeans closed at USD15.51, down 1/2 cent; Jan 13 Soybeans closed at USD15.48, down 3 cents; Mar 13 Soybeans closed at USD15.02, down 11 cents; Oct 12 Soybean Meal closed at USD478.50, up USD3.80; Oct 12 Soybean Oil closed at 50.48, down 28 points. Funds were said to have been light net sellers of around 1,000 soybean contracts on the day in positioning ahead of Thursday's USDA report. 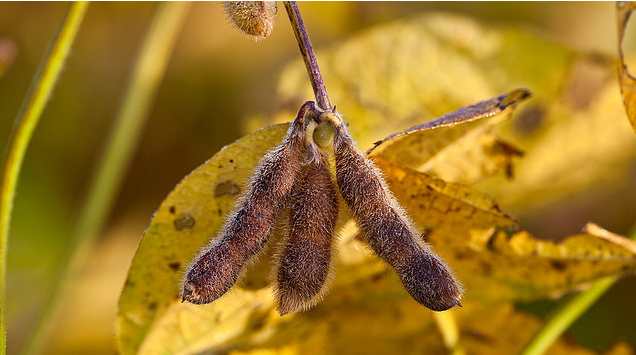 That is expected to show US soybean yields increasing to 37.0 bpa, from within a range of estimates of 35.5-38.5 bpa and versus the September USDA estimate of 35.3 bpa. Production is also expected higher at 2.770 billion bushels versus 2.634 billion last month. US 2012/13 ending stocks are also called higher than last month's 115 million bushels at 134 million. World ending stocks are seen at 53.3 MMT versus 53.1 MMT in September. The regular Monday weekly US crop progress report comes out tomorrow due to the Columbus Day holiday. That is expected to show bean harvesting around 60-65% complete versus 29% normally. Also due out tomorrow will be CONAB's first forecasts on 2012/13 Brazilian soybean production. Other analysts estimates are in the region of a record 78-82 MMT. Record output is also anticipated from Argentina, Paraguay, Bolivia and Uruguay where farmers are keen to jump onto the soybean bandwagon for 2013. Corn: Dec 12 Corn closed at USD7.42, down 6 cents; Mar 13 Corn closed at USD7.42, down 6 1/2 cents. Fund selling was estimated at around 3,000 contracts on the day. Thursday's USDA report is expected to show little change on yields from last month, with the average trade estimate coming in at 122.7 BPA, although from within a fairly wide range of estimates of 119.9–127.0 bpa. The September USDA estimate was 122.8 bpa. Corn production however is expected lower by virtue of an anticipated reduction in harvested area. The average trade estimate is 10.598 billion bushels, from within a range of estimates of 9.954–11.194 billion and versus the September USDA estimate of 10.727 billion. A Reuters survey sees US 2012/13 corn ending stocks falling to a 17 year low of 648 million bushels versus the September USDA estimate of 733 million and versus the 2011/12 carryout of 988 million. World carryout is also seen falling, to 121.322 MMT, from within a range of estimates of 116.0-124.2 MMT and versus the September USDA estimate of 123.95 MMT. The US corn harvest is expected to be 65-75% complete in tomorrow's crop progress report, versus an average 40% normally. The Argentina Ag Ministry estimated the 2012/13 corn area at 4.97 million hectares, little changed versus 5.0 million in 2011/12, adding that as of Friday 24% of the crop had been planted. Wheat: Dec 12 CBOT Wheat closed at USD8.61, up 3 1/2 cents; Dec 12 KCBT Wheat closed at USD8.82 3/4, up 4 cents; Dec 12 MGEX Wheat closed at USD9.24 1/2, up 5 cents. Funds were said to have been net buyers of around 2,000 Chicago wheat contracts on the day. The US wheat harvest is done, 2012/13 ending stocks are seen at 627 million bushels, from within a range of estimates of 550-714 million and 71 million below the September USDA estimate of 698 million. World wheat carryout is also seen falling to 172.813 MMT, from within a range of estimates of 167.4-177.3 MMT and versus the September USDA estimate of 176.71 MMT. 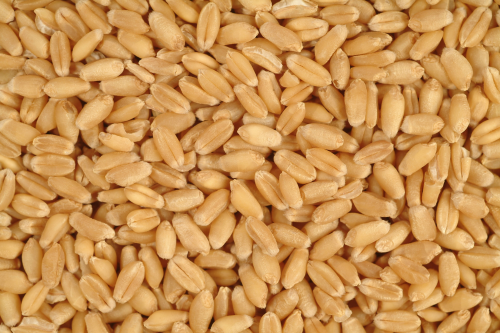 Syria said it had bought 100 TMT of Ukrainian wheat for Oct/Dec shipment. The Ukraine grain harvest is said to now be 83% complete, producing 35 MMT to date. The Ukraine Ministry said that the country has exported 6 MMT of grain so far this marketing year, and expects full season exports at 20-21 MMT versus 22.8 MMT in 2011/12. Rusagrotrans said that Russia has exported 7.8-7.9 MMT of grains in the Jul/Sep period, and sees that rising to around 13.5 MMT by the end of the year. Oct grain exports are forecast at 2.8 MMT, with November's declining to 1.8 MMT and December's to 1.1 MMT as availability dries up. 08/10/12 -- EU grains were mixed with Nov 12 London wheat up GBP2.60/tonne to GBP201.65/tonne and with Nov 12 Paris wheat EUR0.75/tonne higher at EUR259.75/tonne. UK wheat seems to be doing a fairly good impression maybe of ignoring the bigger picture at the moment. ODA said that it estimates UK wheat yields at 6.8 MT/ha this year, implying a crop of 13.6 MMT, which would be in line with Coceral and also the HGCA's recent indications. GATFA think it could be marginally lower at 13.5 MMT, according to comments made at last week's Edinburgh bourse and reported on Bloomberg today. Whilst that sounds outrageously bullish versus last year's 15.3 MMT crop, the quality (or lack of it) of this season's output needs to be remembered. Exports are most certainly going to be well below last year's levels, which were aided by great proteins, big bushel weights and high hagberg falling numbers. In addition, it is thought that imports will rise to at least 2 MMT, and possibly 2.5 MMT, compared to only 0.9 MMT in 2011/12. The UK is currently actively importing much better quality wheat than we have at home this year from France, Germany and the Baltic states, according to various sources. Meanwhile, the French port of Rouen remains "full" of wheat as exports during Q1 of 2012/13 have been "very slow" according to a separate report on Bloomberg today. Silo operators there are hoping that exports pick up in the remainder of the season, once cheaper supplies from Russia, Ukraine and Kazakhstan have been mopped up by the market. The EU Commission pegged the all wheat crop here this year at 134 MMT, versus 137 MMT last year. Imports from non-EU origins were placed at 6.4 MMT, versus 7.1 MMT. Domestic use was estimated at 125.8 MMT, compared to 128.1 MMT a year ago, and exports cut to 14.9 MMT from 15.7 MMT. All in all that leaves 2012/13 ending stocks almost unchanged at 10.8 MMT from 11.0 MMT in 2011/12. 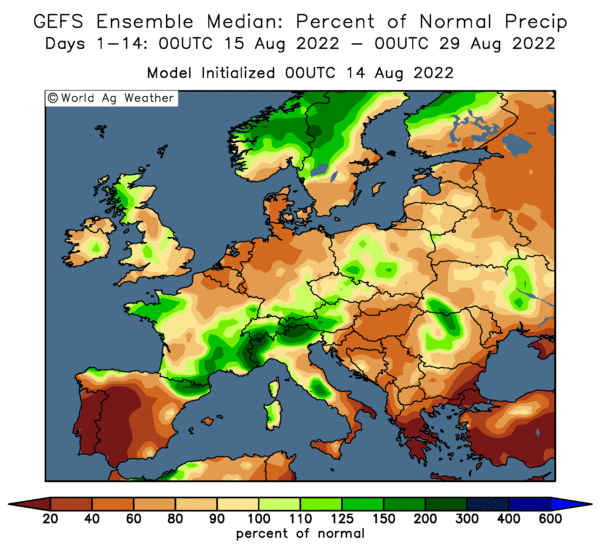 They also estimated this season's EU-27 corn crop at 57.5 MMT, down 4.5% on last year, although significantly better than recent forecasts from the IGC at 55.0 MMT and 53.6 MMT from MDA CropCast. Neither set of numbers from the Commission could be considered a disaster. Rusagrotrans say that Russia exported 7.8-7.9 MMT of grains in Q1 of 2012/13, including 6.6-6.7 MMT of wheat, 1.0 MMT of barley and 0.1 MMT of corn. With the first quarter out of the way though shipments are expected to drop off sharply for the remainder of the marketing year. They see full exports to the end of the year at 13.5 MMT, including 10.7 MMT of wheat, 1.7 MMT of barley and 0.9 MMT of corn. The bulk of the sales in the second half of the season, ie FH 2013 will be corn, they add. Is Another USDA Surprise On The Cards Thursday? 08/10/12 -- The overnight markets are mostly lower, with beans leading the way around 10-12 cents easier and with corn down 5-6 cents or so. Wheat is attempting to buck the trend, but only marginally achieving it, up a half to down one cent. The trade is waiting on Thursday's upcoming USDA supply & demand report. A Reuters survey sees US 2012/13 corn ending stocks falling to a 17 year low of 648 million bushels. The same survey sees 2012 corn production falling to 10.6 billion bushels versus 10.727 billion from the USDA last month. The gist of the reasoning seems to be a reduction in harvested area due to higher than normal abandonment due to this year's drought. Whilst unharvested acres will almost certainly be higher than the USDA currently project, it is far from certain that they will commit this month with the harvest still ongoing. It should also be considered that there is every possibility that they will at some point increase their planted area estimate too. The Farm Service Agency helpfully come up with an estimate of 97.2 million US corn acres last month, a new 75 year high and over 750 million higher than the number currently in use by the USDA. On top of that possibility, we also have the potential for the USDA to lower domestic usage by virtue of falling demand from the ethanol sector. Last week's ethanol grind was down 3% from the previous week and 8.5% lower than that week a year ago. In addition to that, US corn exports are hardly flying are they? Year-to-date sales are 410 million bushels, which compares to 673 million last year, a reduction of more than a third. With the option of increasing planted area, and cutting domestic usage and exports there's a fair bit of ammunition there for Washington to draw on to spring another (this time bearish) corn surprise on Thursday. And that's before we even consider the option of a yield increase. Informa said 127 bpa on Friday, and last month's 126.6bpa estimate from the FSA proved that the frequently optimistic former aren't entirely a lone voice in the wilderness. The USDA went 122.8bpa last month, just as a reminder. In other news, weekend rainfall was near expectations Down Under. 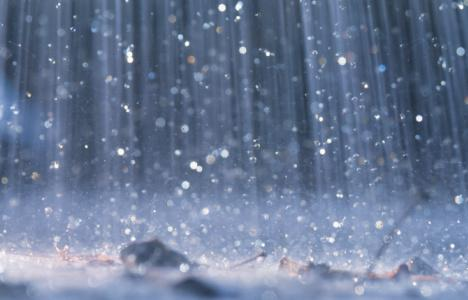 "Showers favoured southeastern New South Wales and Victoria. Amounts were 0.25 to 1.5”, with 10% coverage, say MDA CropCast. There may even be a small window of opportunity for parched Western Australia, where they say that the 6-10 day outlook is wetter. Russia may produce more rapeseed than Ukraine this year, with the Ag Ministry forecasting output at 1.15 MMT, marginally ahead of Agritel's recent estimate for production of 1.1 MMT in neighbouring Ukraine. Russia are also expecting a crop of 1.7 MMT of soybeans and 7.0 MMT of sunseed - the latter a sharp reduction on the 9.6 MMT produced last year.